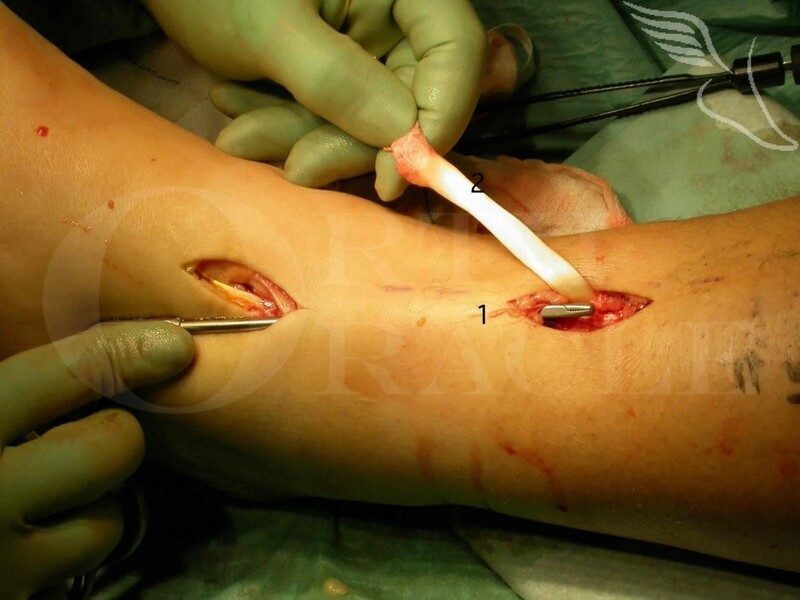 Learn the Tibialis posterior transfer (for foot drop) surgical technique with step by step instructions on OrthOracle. Our e-learning platform contains high resolution images and a certified CME of the Tibialis posterior transfer (for foot drop) surgical procedure. Historically the Tibialis posterior transfer for foot drop has been the main intervention for patients intolerant of, or requiring better function than is afforded by , a simple stabilising Ankle Foot Orthosis (AFO). Significant improvements in non-operative management options, both with energy returning carbon fibre foot drop splints and FES (functional electrical stimulation) have made this a far less commonly performed operation for an isolated and flexible foot drop deformity. In patients with other co-existing pathologies which can accompany the foot drop (such as Achilles contracture or a varus heel) which make conservative management less effective, there remains a strong indication for the operation.